Nvidia has been a powerhouse in the gaming world for its years of top quality graphic cards. 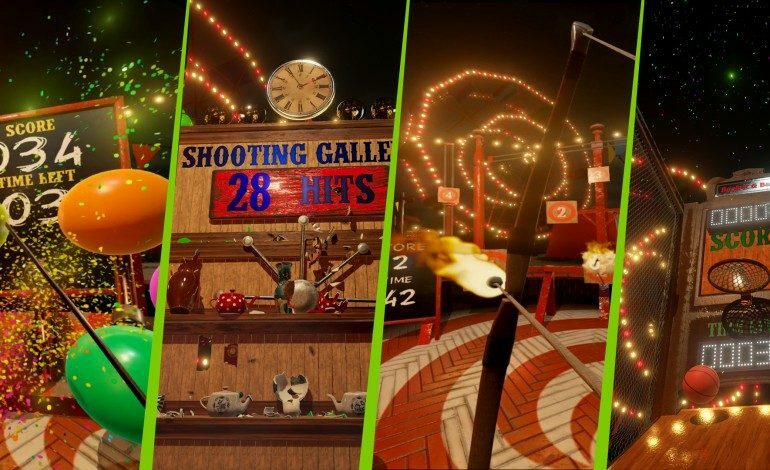 After many advancements in VR, Nvidia has officially released VR Funhouse, utilizing all the new technologies possible. Nvidia used PhysX Destruction, FleX, Flow, and HairWorks to create the most advanced physics effects possible in their very first game. The only catch to this new VR game is that it requires the best of graphic cards. The recommended graphic card to use is the GeForce GTX 980 Ti which can range from $399.99- $809.99. For the best experience they say to use dual GeForce GTX 1080’s which costs around $1,434 total. As of now VR Funhouse can be downloaded for free from Steam. The minimum recommended system requirements are Windows 7, Intel Core i7, 8 gb RAM, and a high end graphics card. A VR headset such as HTC Vive will also be necessary.